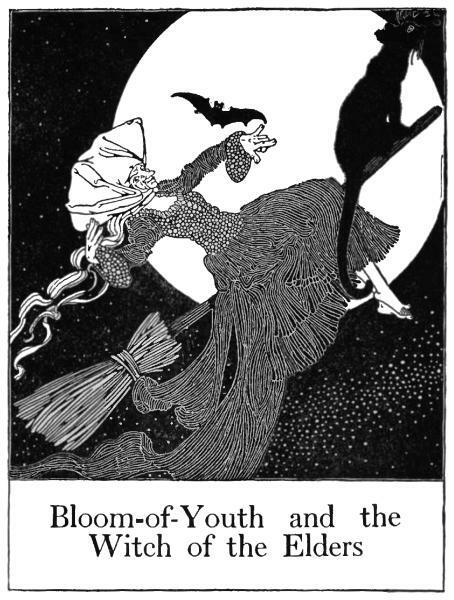 A witch flies on her broom in front of a full moon with her black cat and bat. This image has got to be one of the best witch drawings that we’ve seen. This witch doesn’t have just a black cat, she has a black panther with her on her flying broom. Yet another great art deco period image from the pen of Dugald Stewart Walker, this halloween image has so much potential and is ready for downloading.